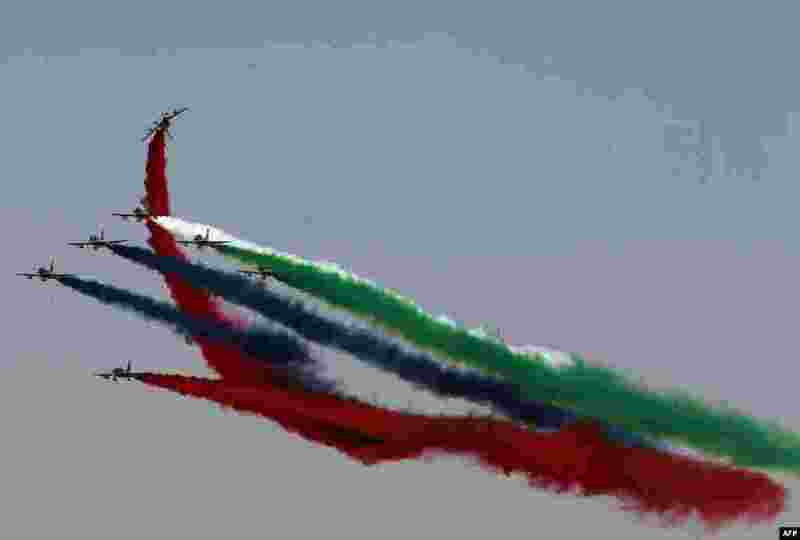 1 Al-Fursan aerobatics team of the United Arab Emirates Air Force performs at the Dubai Airshow. 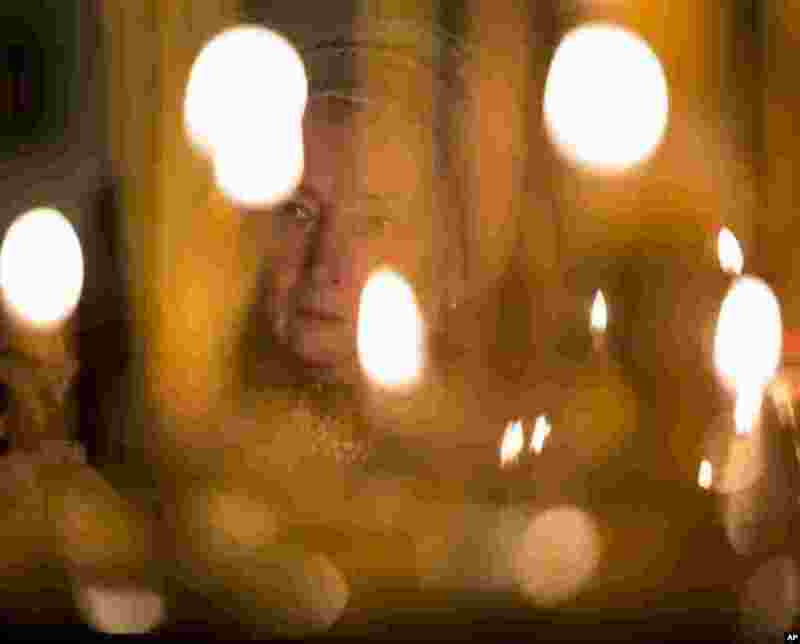 2 A woman takes part in a memorial religious service for plane crash victims at the St.Isaac's Cathedral in St.Petersburg, Russia. As a choir sang, the bell of the world's fourth-largest cathedral was tolling once for each of the 224 victims. Most of the victims were from St. Petersburg or other areas of northwest Russia. 3 Supporters of National League for Democracy (NLD) leader Aung San Suu Kyi cheer as they watch partial election results on a TV monitor outside NLD offices in Mandalay. Myanmar held its first free nationwide election in 25 years, the biggest step yet in a journey to democracy from dictatorship. 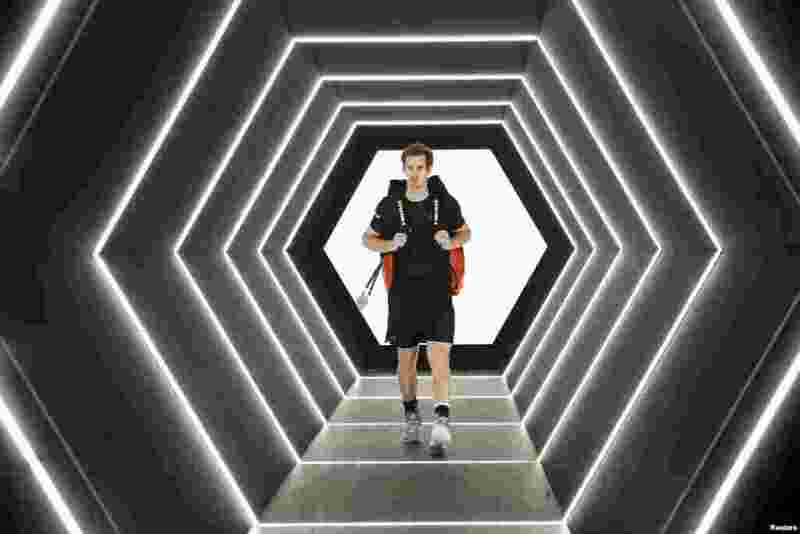 4 Andy Murray of Britain arrives to play against David Ferrer of Spain in their men's singles semi-final tennis match at the Paris Masters tennis tournament at the Bercy sports hall in Paris, France, No. 7, 2015.